Most people are surprised to hear that I’m not a big fan of cake, I adore brownies, I can always go for pie and I will eat the occasional cupcake, especially if it’s red velvet with cream cheese frosting, but cake I can live without. Now, although a “Bundt Cake” implies cake, it really is a whole different type of cake and a cake I personally find delicious. A bundt cake depends on its actual cake not its frosting to make an impression, if the cake is bad then no amount of frosting can help a bundt cake. So this brings me to yesterday's craving, for years I've purchased delicious bundt cakes from a cute little shop about five minutes from my work, I called them yesterday to place a same day order and I was so saddened to hear that they had closed their shop back in December, so there I was disappointed and craving bundt cake! I remembered passing by a plaza in Manhattan Beach a few months ago and seeing a sign that read Nothing Bundt Cakes, so I decided why not give them a try and stopped by last night. 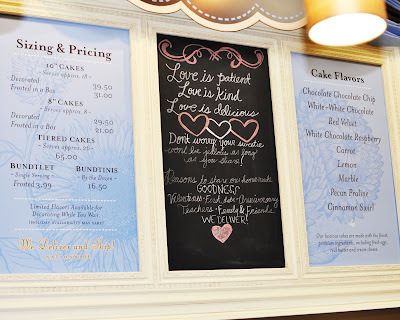 Nothing Bundt Cakes makes a great first impression, the shop is gorgeous and has a very boutique feel to it selling not only cakes but decor, apparel and accessories; the staff is friendly and their displays are just beautiful. 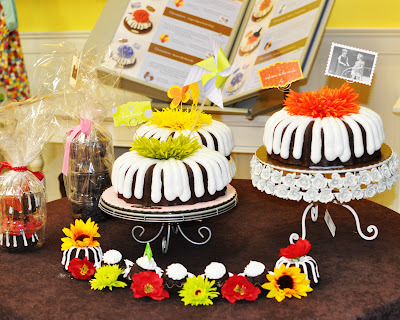 As for the actual bundt cake, all I can say is "YUM" I purchased a red velvet cake with their signature frosting, the cake was moist and delicious and the frosting was perfect. 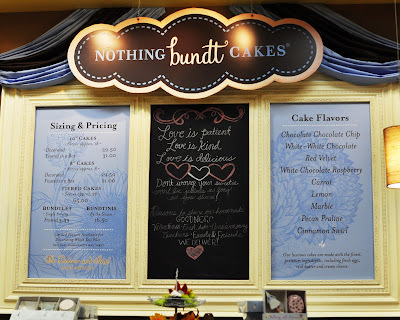 Nothing Bundt Cakes is definitely my new favorite bundt cake shop. 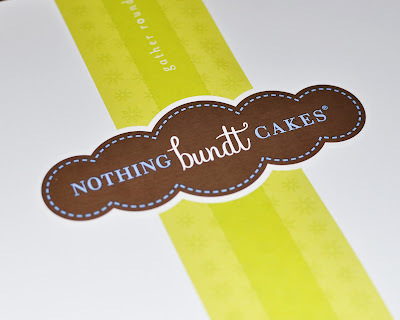 Oh, and don't worry if you do not live near a Nothing Bundt Cakes, not only do they deliver locally but they also ship nationwide! those look awesome!!! I love brownies and am not a big cake person but love cupcakes! Oooh! 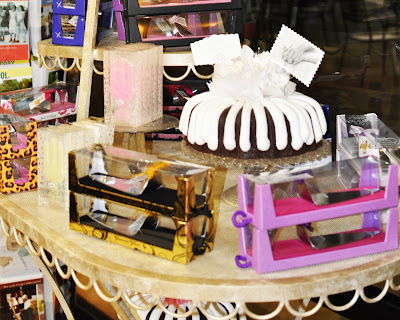 You are making me SO hungry for cake!